It is difficult to imagine that in an industry as old and established as real estate, something could come along and completely revolutionize its structure. But, as it turns out, something has: real estate drone photography. 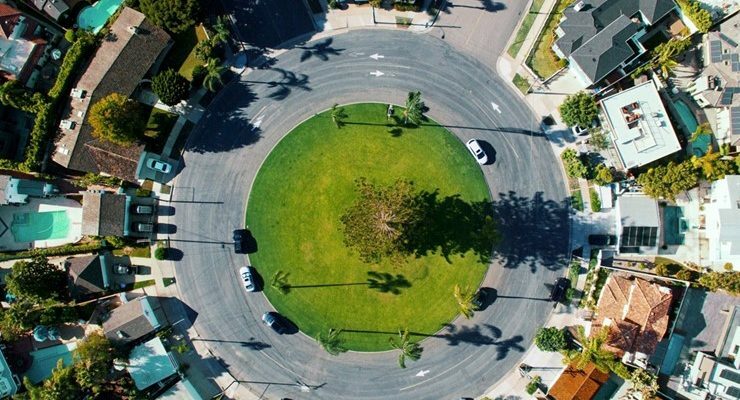 Though simple in its approach, real estate drone footage has completely changed the face of the industry by showing prospective buyers new perspectives on properties. And, as such, the realtors that are spearheading the drone real estate video approach are doing exceptionally well. Some photographers used to do aerial photography for realtors by placing their cameras atop long, telescopic poles, but this era is over. For a fraction of the price (real estate aerial photography rates are very affordable) realtors can access the best drone for real estate photography and receive high quality images and videos from multiple vantage points. Aside from being able to show houses from the air, realtors can now do what only film crews could do in the past. The best drone for real estate photography, with its precision stability, can provide house walk-throughs without the amateur camera shake that comes with holding a camera by hand. This interior real estate drone footage brings newfound professionalism to the medium. Real estate aerial photography pricing is such that the many benefits far outweigh the already reasonable real estate drone video cost. And, if you need proof that drone real estate photography pricing is worth every cent, consider the fact that drones can photograph much more than houses. Developments in the surrounding area that might improve the property value. These are things that buyers like to know, which means that the real estate drone video cost is written off against the time that the realtor would usually spend showing buyers the above. And after all, time is an important factor when considering drone real estate photography pricing, since a realtor’s available time translates to more sales. That being said, it is still important to look around for the best real estate aerial photography rates. When calculating the most reasonable real estate aerial photography pricing, consider the ultimate quality, as well as the multiple benefits. We think you’ll find no better real estate drone photography cost for your budget and quality requirements than what we offer. So, to make sure you spearhead the change in the real estate industry, contact DroneSnap today!